The Western Olympic Local Technology Planning Team (WOLTPT) is a planning project designed to improve broadband awareness, access and adoption in Western Olympic Peninsula. WOLTPT broadband planning brings together representatives from economic development, telecommunication providers, area tribes, public safety, education and local government. WOLTPT work covers Western Jefferson and Clallam Counties. The project is being lead by WSU Extension and the North Olympic Peninsula Resource Conservation and Development Council (NOP RC&D). WSU Extension in Clallam and Jefferson counties and WSU Program for Digital Initiatives, along with NOP RC&D, and staff from the office of Senator Murray and Congressman Kilmer serve as the project planning team working with the project coordinator, and stakeholders to accomplish the scope of work. This project builds on an early 2000s Forks, WA effort that included a team of broadband providers, local institutions, universities, government and citizens. That group successfully brought broadband in to connect this remote community with the world and improving their medical, education, and business opportunities. WOLTPT stakeholders and provider teams are focusing on three use areas: public safety, education and tribal needs. Current funding ends in June 2014. Peninsula Daily News article about Broadband from Sept 5, 2013…CLICK HERE. The following six maps were created with input from participants in the WOLTPT workshops and supplemented by data from the FCC and WA State Dept of Commerce Broadband Office. Special thanks to Keven Bennett and University of Washington Olympic Natural Resources Center for creating these maps. Overview map of Western Olympic Local Technology Planning Team project area. Because of the nature of the data and labels, this has been provided at high resolution (600dpi) to allow viewing of all details. For viewing, view at at least 200% of original size. For printing, even though it is 11 x 17 it should be printed at 22 x 34 or larger. 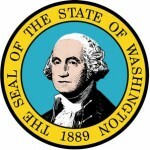 OLYMPA, WA – The work of public and private broadband providers is paying off in Washington according to the 2013-Broadband-Report released today by the Washington State Broadband Office. During the last year, more than 450 of the state’s 629 Census-designated communities saw increased access to broadband through wireline and/or wireless providers. For many of these communities it was the second straight year of improvement. Today’s report is the fourth annual report on the state of the state’s broadband network and includes data based on the National Broadband Map which is compiled from information gathered by the Broadband Office. The report also includes the progress of five Local Technology Planning Teams working under grants from the Broadband Office and the results of the Office’s STEM (Science, Technology, Engineering and Math) Challenge. 98.9 percent of the state’s residents live in areas where broadband is available at 3 Mbps download, 83 percent of the state’s population live in households with Internet access and 73.8 percent of the state’s population regularly use their home broadband connection. Gross business income from broadband- enabled electronic shopping in Washington grew for the fourth straight year topping $3.5 billion in 2012. Washington is first in the nation for software publishers and second in total state-level payroll coming from the technology industry at 18.4 percent. The report also contains recommendations for encouraging and supporting the continuing growth of the state’s innovation and broadband-enabled economy.